It is a red '83 Suzuki Mighty Boy 5 speed round headlights F5A engine. I have found a lot of engine spares on eBay but they are for Carry E5a engines. Would they work on a mighty Boy? 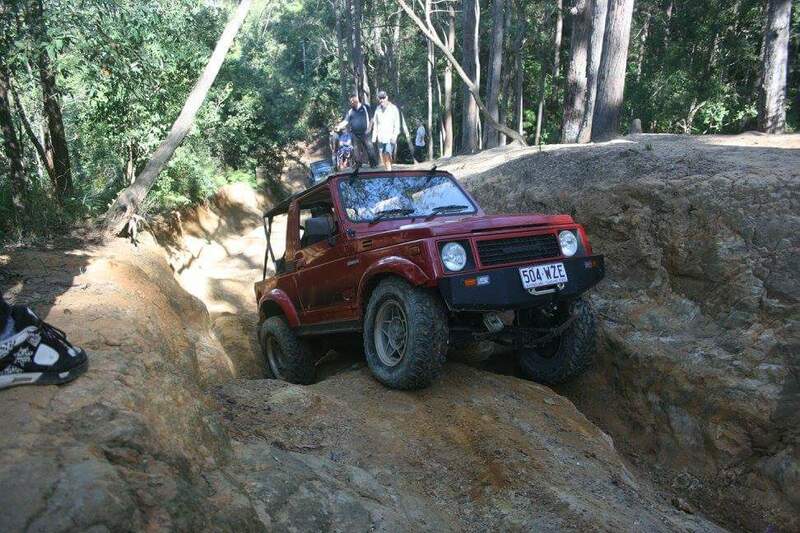 Vehicle: LJs, Sierra, Jimny, Swift. You mean Carry F5a then yes, for the most part. A lot of F10a parts are the same also. You'l enjoy the mighty boy, they're great fun to drive and surprisingly roomy. Underpowered with the F5a though. i am seriously thinking about selling my Samurais - I'm getting too old for the rough ride. No LJs either. A Mighty Boy would be more of a around-town attention-getting piece of transportation. I fell in love with a Mighty Boy I saw in Broome WA during my trip. Finding one in good condition here in the Up Over is quite a stroke of luck! Hmm.. Why the bit of paper over the gear knob? Could it that the dealer is being deceptive, because the Mighty Boy is actually a 4 speed? I'm not sure on your legalities for engine changes, but in Aust we also had the 800cc Hatch (SS80 Alto in other markets). Basically the same vehicle platform as the Mighty Boy, F8B drops in. JDM have a F5A Turbo and F5A Turbo Twin Cam. For Big Block power, a G10A and five speed from an SA Swift (Geo Metro in US?) can be shoe-horned in. As the jingle went, "Mighty Boy, Mighty Boy, Mighty hard to beat". Last edited by 303zuke on Sun Feb 10, 2019 9:05 pm, edited 1 time in total. The Mighty Boy is the SS40T (T for Ute, same as Sierra codes), the 550cc Hatch is the SS40V (V for Van, same as Sierra). 800cc Hatch is SS80V.